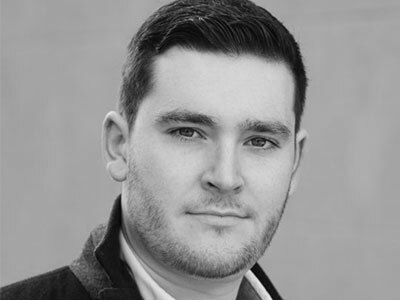 Matthew Durkan became an ENO Harewood Artist in the 2015/16 Season. He studied at the Birmingham Conservatoire and at the Wales International Academy of Voice, National Opera Studio and is an alumni of ENO Opera Works. Take a look through the Partenope 2017 production gallery to see Matthew in his role. Notable engagements elsewhere: Masetto Don Giovanni (Opéra de Rouen Haute Normandie); Melisso Alcina, Elviro Serse (Longborough Festival); Captain in Hartmann’s Simplicius Simplicissimus (Independent Opera at Sadler’s Wells). Awards: Winner of the 2014 Stuart Burrows International Voice Award; finalist in the 2014 Kathleen Ferrier Competition. Forthcoming: Demetrius (Opéra Comédie de Montpellier); debut with Glyndebourne on Tour; Masetto (Longborough Festival).